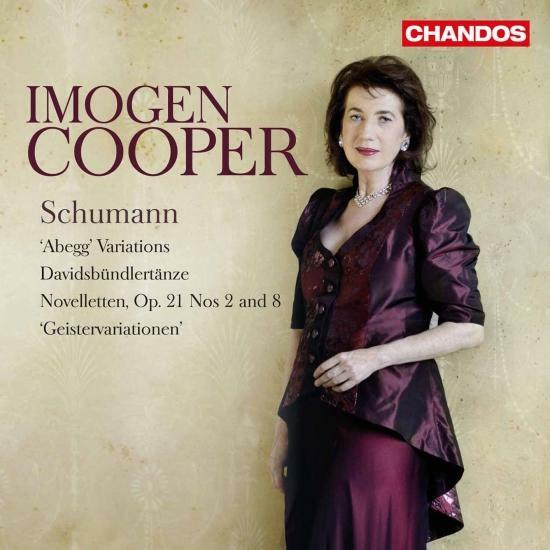 Booklet for Schumann: "Abegg" Variations, Davidsbündlertänze, Novelletten & "Geistervariationen"
Info for Schumann: "Abegg" Variations, Davidsbündlertänze, Novelletten & "Geistervariationen"
This third recording by Imogen Cooper on Chandos features some of 'obert Schumann's most characteristic and complex works for solo piano. Cooper is one of those artists who are reaching a glorious maturity in middle age; she seems to follow in the steps of her teacher Alfred Brendel, her prodigious virtuosity coexisting with lyrical and emotional wisdom. 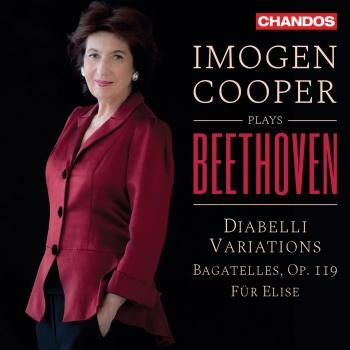 This album includes the Davidsbündlertänze which she describes as a 'work of stirring beauty and humour that make it one of the great romantic masterpieces for the piano'. 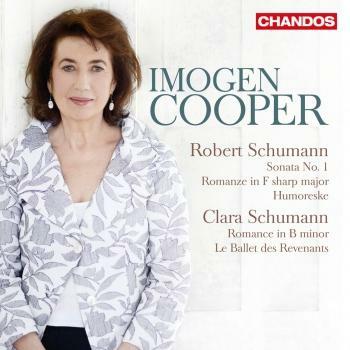 It also illustrates the journey between two sets of variations: Schumann's first published and last composed piano pieces. While the 'Abegg' is 'virtuosic, extroverted, challenging to play, and charming', the Geistervariationen are 'introverted and sparse, with a deep but elusive emotion'. 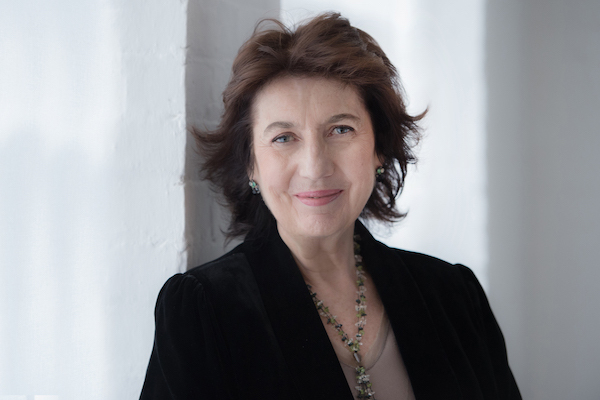 Finally, in the two Novelletten Imogen Cooper reveals what she calls the 'hidden narrative filaments to be discovered' in Schumann's music; this requires 'a skill which is very necessary in the interpretation of scores that frequently appear disjointed and illogical'.